Tackling issues: Planning Commission deputy chairman Montek Singh Ahluwalia will be responsible for the detailed negotiations on India’s behalf. New Delhi: India will oppose a call by developed countries to developing nations to give up the flexibility to impose export restrictions and increase tariffs at the Group of Twenty (G-20) summit in Cannes starting on Thursday. India believes such flexibility is essential to control domestic prices and is well within the existing framework of the World Trade Organization (WTO). The G-20 was established in 1999 to bring together major industrialized and developing nations to discuss key global economic issues. The grouping has gained more prominence in setting the agenda for the global economy after the 2008 financial and economic crisis. 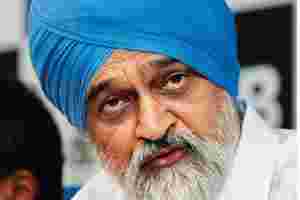 While Indian Prime Minister Manmohan Singh is leading the Indian delegation to the G-20 summit, Planning Commission deputy chairman Montek Singh Ahluwalia will be responsible for the detailed negotiations on India’s behalf. “There is an attempt to include export restriction and tariff standstill in the declaration," the official said. “We believe we need to have the flexibility of temporarily banning export of essential items such as wheat and rice for managing inflationary pressures in the domestic economy," he added. Some developed countries also want developing countries to keep their tariffs unchanged. “Our stand is (that) we need to have the flexibility to increase the applied tariff rates if the bound tariff rates are above the applied tariffs," said the official cited above. “This is needed to protect our domestic producers. We cannot abjure these flexibilities when these are fully consistent with the WTO principles." Applied tariff rates are the prevalent tariff rates. Bound tariff rates are ceilings above which tariffs cannot rise. Anwarul Hoda, a professor at the Indian Council for Research on International Economic Relations, agrees with the commerce ministry stand’s on the flexibility of tariff rates. “This is a ploy by developed countries to take away future bargaining power of developing countries without any quid pro quo," he said. “India can keep its bargaining ability in tariffs by not going beyond applied rates." However, Hoda said while export restrictions are allowed under current WTO rules, “one can be a little more relaxed with a political declaration like at the G-20". The commerce ministry official cited above said there is also a question over the legitimacy of the G-20 seeking to dictate the trade agenda . “How can G-20 set the agenda for WTO? What is the legal sanctity of G-20?" he asked. “It is okay if G-20 provides general directions on the global trade. However, we do not wish (to see) a group of 20 countries setting the agenda for the 153 members of the WTO." Hoda said any declaration by G-20 will be politically binding only on its member-countries. “If this is acceptable and serves greater common good, then other countries will accept it. That is how negotiations proceed," he said.